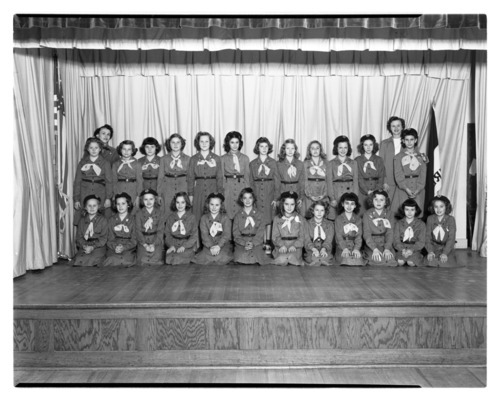 Two photographs showing Girl Scouts, Troop No. 102, at Randolph Elementary School. The troop leaders are Mrs. M. R. Howard and Mrs. Charles Martin.